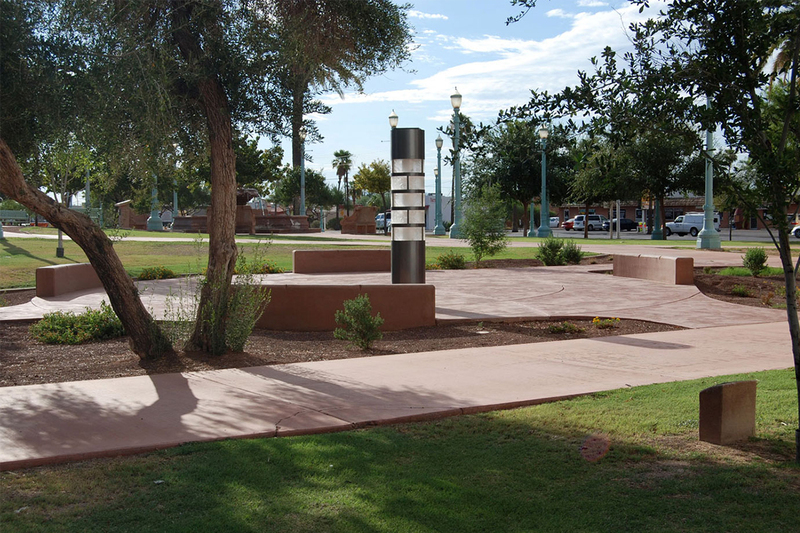 Project Goal: Provide a memorial to fallen city employees for the city of Casa Grande. 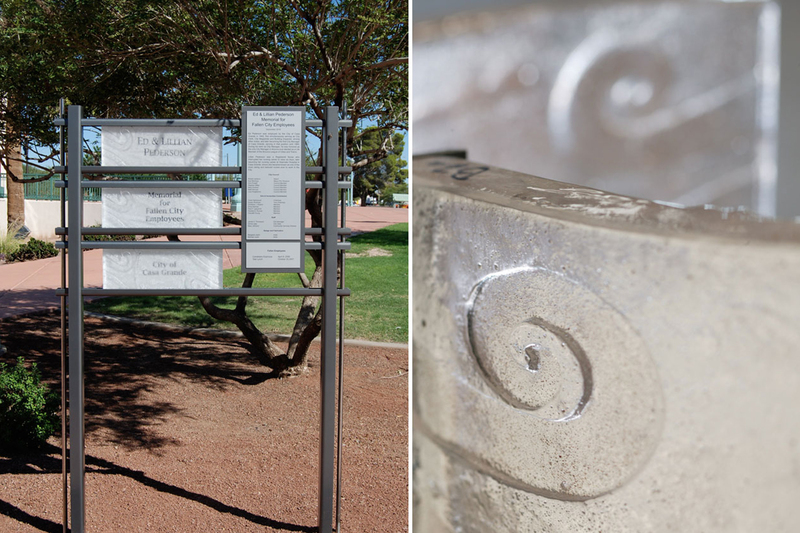 The Story: Completed in 2010, this project was completed as part of the Casa Grande City Hall Plaza. 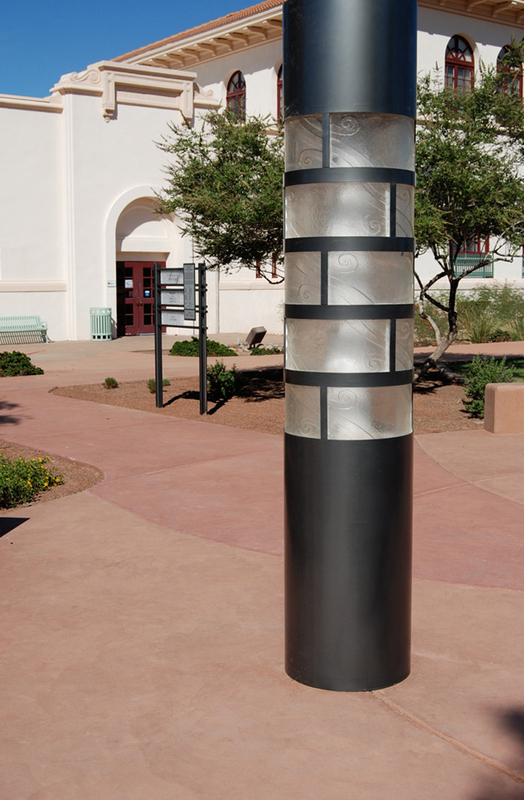 Particulars: A 7' high column, 18" in diameter, holds (15) cast glass plaques. 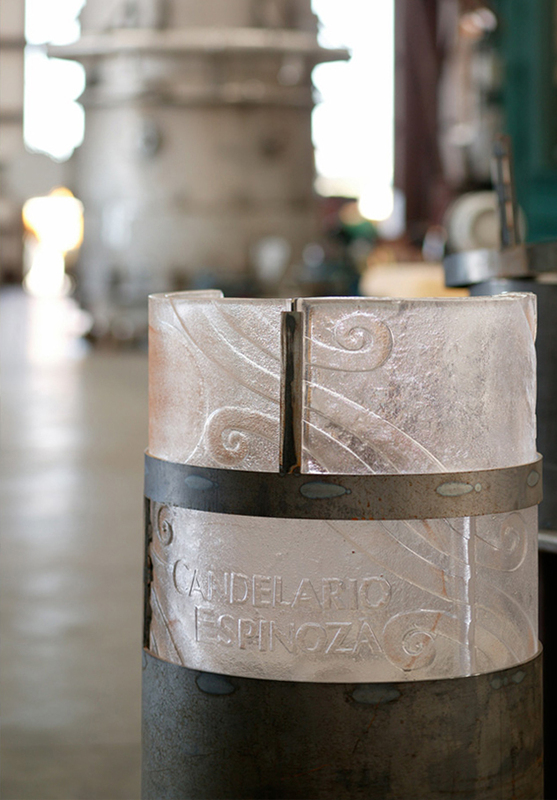 Each Plaque is 19" L x 9"H x 1-1/4" thick, with names cast into the glass. Includes a solar powered light for evening illumination. Steel structure powder painted, column sits in 36' diameter plaza. Includes footers for three future column sites.